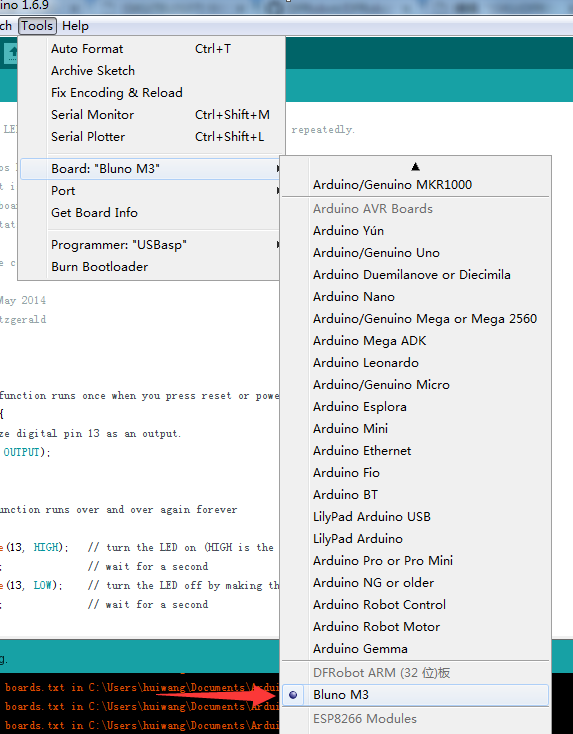 The Software Development Environment of Bluno M3 Hardware Version 2.1 is based Arduino IDE 1.5.5. 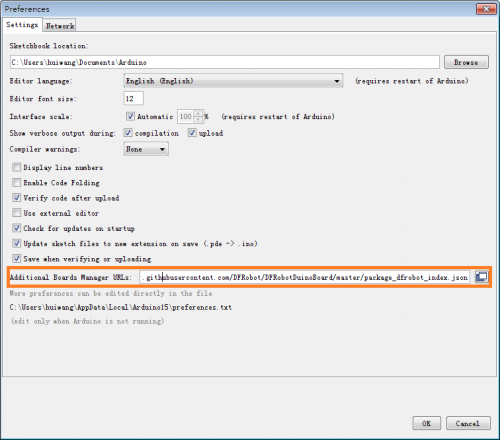 But in fact, Arduino IDE 1.5.5 doesn't support Cortex-M3 kernel. So we made a special version for Bluno M3. Since Arduino IDE entered 1.6.x Series, it has supported Cortex-M3 kernel. In order to keep pace with times and make Bluno M3 easy to use. We have done a lot of effort to make it compatible with your Arduino Version. 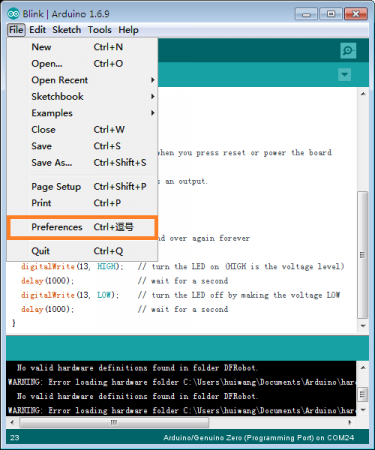 Open Arduino IDE, File->Preferences, find Additional Boards Manager URLs, copy the below link, and paste in the blank. Now, the development environment has been installed, you can use it like a normal Arduino board. Q1.It can't be compiled at all! A. 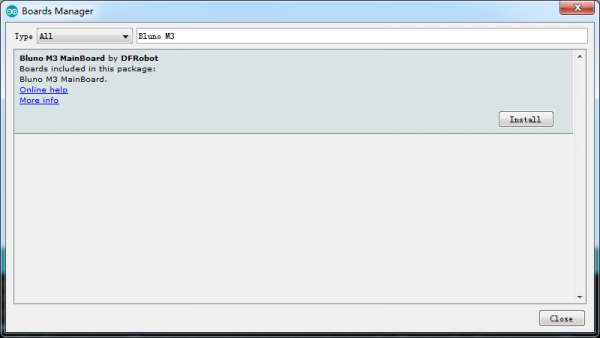 Please open C:\Users\Your Name\Documents\Arduino\hardware\DFRobot\STM32 folder, and delete it. Shopping from DFRobot Store or DFRobot Distributor.